BVJ678J (1971) Bedford VAL70 . 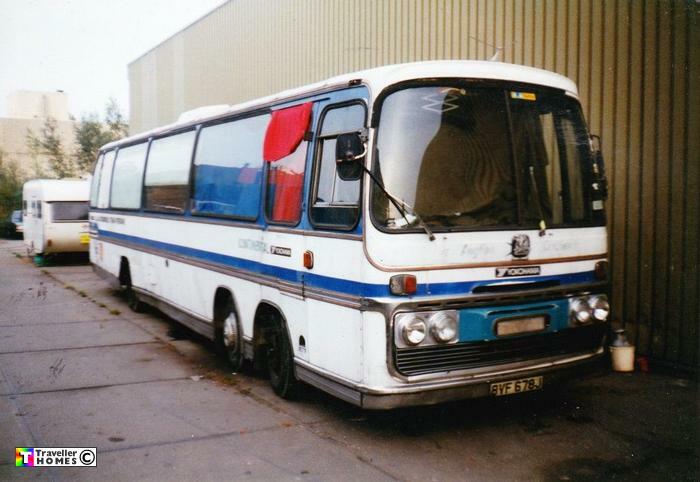 Plaxton Panorama C53F. Ex-Spratt . Wrenington Seen 1992 Amsterdam . Holland . Tony had bought his VAL from UK custom's auction after it was seized smuggling drugs in when owned by the Porsche racing team !. Later noted on a side street in Birmingham . Scrapped at some stage . Photo = Ray .